Tips Alert: HIDE PICTURES & IMP; VIDEOS TO KEEP YOUR PRIVACY SAFE. HIDE PICTURES & IMP; VIDEOS TO KEEP YOUR PRIVACY SAFE. Do you have pictures or videos that you want to keep it secret? 'Secure Gallery'(Hide pictures & videos) can hide(lock) pictures and videos for protection of your privacy using a password or pattern! 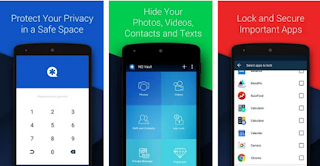 Why don’t you start to hide pictures and videos with 'Secure Gallery' and keep your privacy safe now? Take control of your privacy with Secure Gallery(Hide pictures & videos). It hides pictures & videos and keep them in secret places. · if you hide Secure Gallery's Icon in options, and then Secure Gallery will disappear. To run it, please put 'Widget' of Secure Gallery in Widget List and click it. 3) Can lock Secure Gallery when running it?